"Bottom line: We see AT&T prevailing," one analyst declared, citing some pointed questions directed at the DOJ by a D.C. Circuit judge. More than two years after AT&T announced its $85.4 billion acquisition of Time Warner, the telecom giant and the Justice Department are still battling over the legality of the deal. 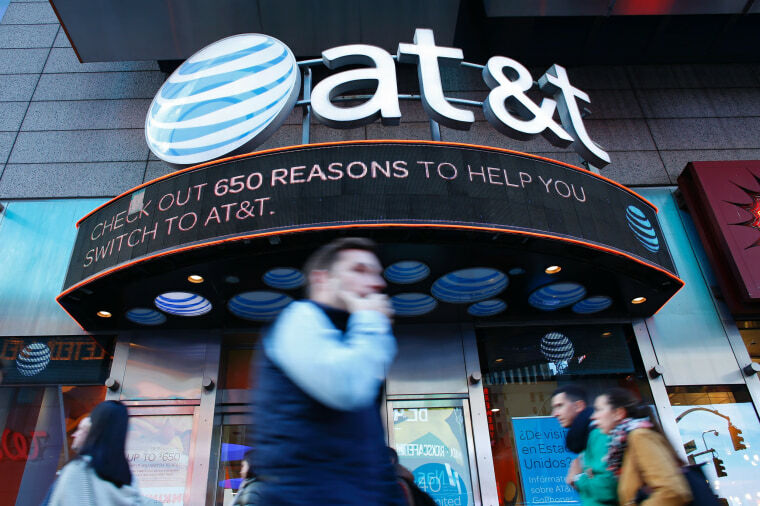 Lawyers for AT&T and the Justice Department presented arguments Thursday before a panel of three judges as part of the DOJ's appeal of a decision in June by U.S. District Judge Richard Leon that the acquisition could proceed. The three D.C. Circuit Court of Appeals judges — David Sentelle, Robert L. Wilkins and Judith Rogers — gave little indication that they believed Leon had erred. They have until February to deliver their verdict, which will have major ramifications for other media and telecom mergers. During questioning, Rogers pointed out that AT&T had agreed to an arbitration clause and to not blackout its channels in the event of a carriage disagreement. Blackouts often happen when cable TV programmers look for higher prices from distributors. When the two sides cannot come to an agreement, it is common for channels to go dark for a period of time. Lawyers for the Justice Department had argued that an all-powerful AT&T, which owns DirecTV, could significantly hurt competitors such as Dish by blacking out popular channels like CNN, TNT, TBS or HBO, which AT&T acquired in the Time Warner deal. While AT&T has pressed ahead with the integration of parts of Turner, it had agreed to hold off on any tie-ups between its Turner Broadcasting unit and its DirecTV division until February. Paul Gallant, an analyst for investment bank Cowen & Co., said in an investor note on Thursday that he did not expect the acquisition to be derailed. "Bottom line: We see AT&T prevailing," Gallant wrote. Gallant told NBC News that Rogers' questions appeared skeptical of the Justice Department's position. "Courts are ultimately a black box," Gallant said. "Judge Rogers is key. She's appears to be the swing vote on this panel, and her questions seemed more skeptical of the Justice Department than AT&T." While AT&T's deal has already endured a drawn-out approval process, the D.C. Circuit Court may not be its last stop. Whichever side loses, it could ask the Supreme Court to review the case.